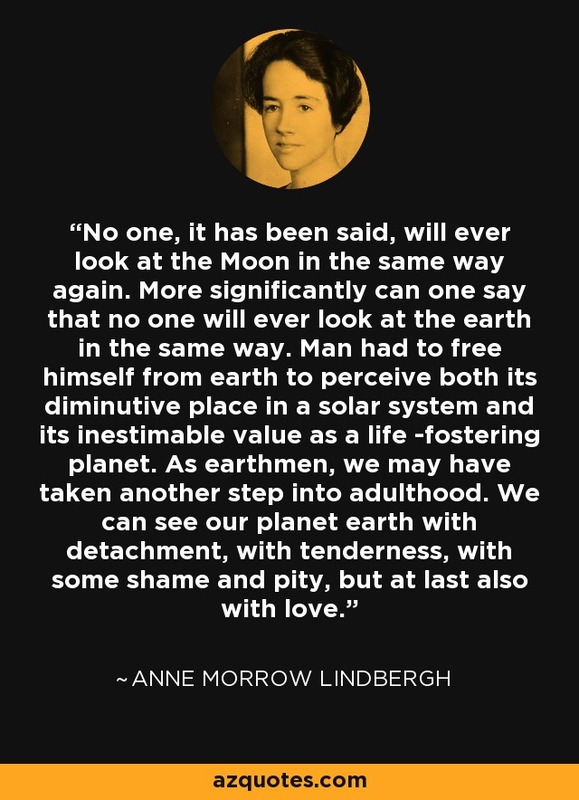 No one, it has been said, will ever look at the Moon in the same way again. More significantly can one say that no one will ever look at the earth in the same way. Man had to free himself from earth to perceive both its diminutive place in a solar system and its inestimable value as a life -fostering planet. As earthmen, we may have taken another step into adulthood. We can see our planet earth with detachment, with tenderness, with some shame and pity, but at last also with love.